Cleaning the chimney is a tough job for any homemaker as it is the most tedious and murky job they have to do. The oil and smoke deposit on the chimney start clogging its suction capacity which can eventually hamper its operation. For that reason regular cleaning of the chimney is necessary. If you are thinking about the hard labor that you have to give for cleaning the chimney, then just relax. To make your cleaning job simple, follow these steps on how to clean a chimney easily. Before you start with the cleaning of your chimney, you have to know the type of chimney you are going to clean. There are three types of electric chimneys, i.e., mesh, baffle and charcoal. These three are the filter types determines the suction and air purification process capacity as they work on different principles. Out of the three, the charcoal filter can be replaced only and cannot be cleaned. The mesh collects the grease and oil flying up with smoke during the cooking time and gets clogged after a certain period. The baffle filter applies new technology and separates the grease from the smoke. The smoke and oil are not able to clog the suction of these filter type chimneys, but they also require cleaning periodically. 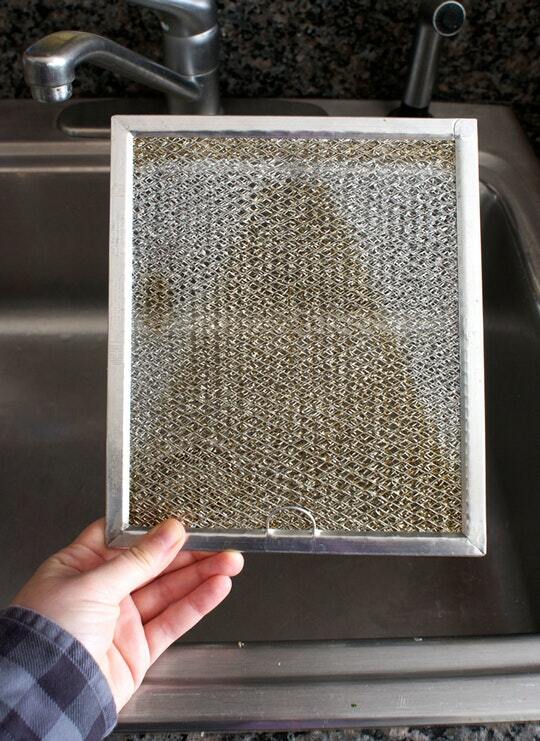 The first thing you need to do is remove the filters from the chimney for cleaning it. Most of the filters easily slide or pop out of the chimney hence taking them out is no rocket science. 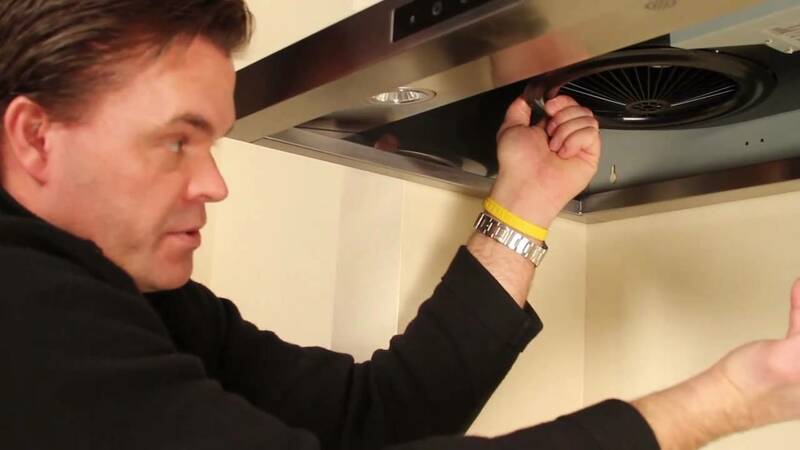 Taking out the filters allows you to clean them and the body of the chimney in a better way. Using hot water is the most effective way for cleaning the filters of the chimney, be it baffle or mesh. 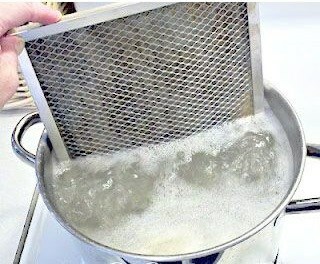 Submerge the filters in hot water for a while which will loosen up the oil and grease in the filter. It will be better if you can dismantle the filters before submerging them. You can add detergent or 4 tablespoons of baking soda in hot water or vinegar and two tablespoons of baking soda. It will make the accumulated grease leave the filter as well as the oil and dust along with it. For better cleaning, you can scrub the filters with a brush to clear the residuals of the grease or oil. 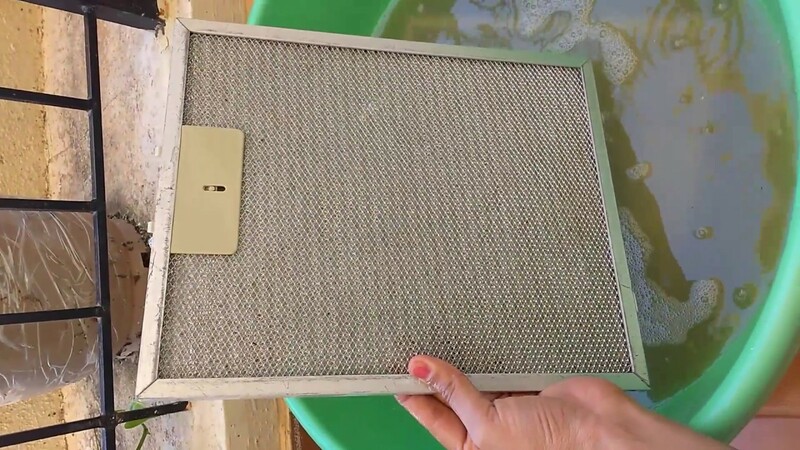 The same method can be used for cleaning the baffle filters too as it will boost the functionality of the chimney. If the chimney filters have become extremely dirty, you can use caustic soda or sodium hydroxide to clean them. Usually, caustic soda is used to clean blocked drains, but it can also be used for cleaning the filters. The fume can be a bit risky for cleaning purpose in case you inhale it. Therefore it will be better if you take some professional help while using it. The motor is generally sealed inside the chimney hence it can be just wiped with a wet cloth. For cleaning the exteriors of the chimney, you can use light soap-like solution for removing the sticky oil deposits on the body of the chimney. Use tissue or old newspapers of the house as they will absorb the oil on the exterior and help you to clean the appliance effectively. Use soft cloths to wipe off the soapy water or the cleaning liquid after application. The chimney needs to be cleaned intermediately in order to keep them free from the congestion of grease and oil. 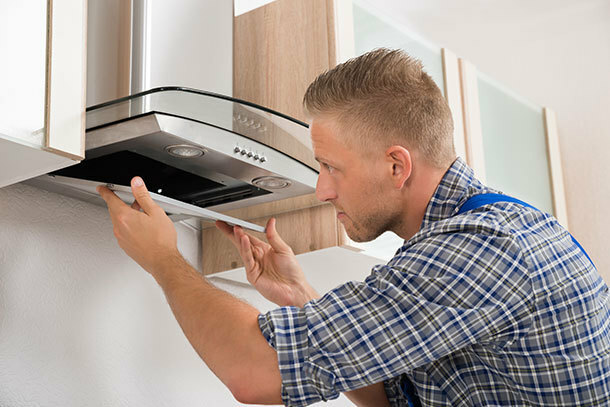 Hot water treatment along with baking soda is recommended to remove the sticky muck deposits in the filters. 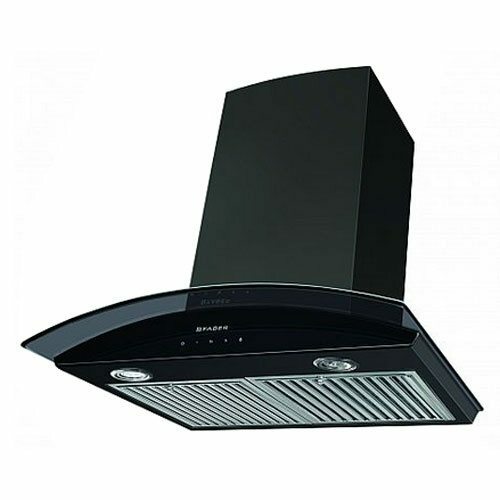 It ensures trouble-free ventilation in the kitchen so that it can throw out the smoke without getting clogged. Hence these are the simplest steps for cleaning your kitchen chimney effectively.